The NEW Hollow Earth Insider » Planet X (Nibiru) Conspiracy? 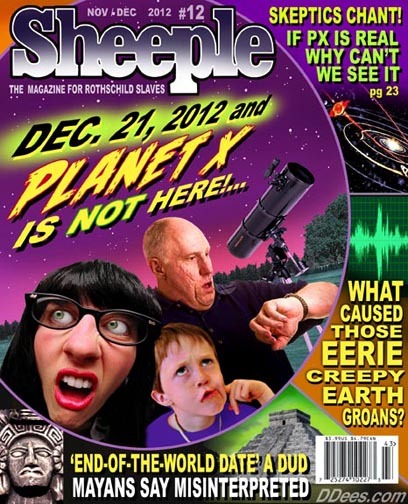 Archive for Planet X (Nibiru) Conspiracy? Featured Image: Blue Planet artwork. SOURCE Wikipedia. (Public-Domain). Boy an I glad I learned to “duck and cover” in my childhood. And, I got me a case of pork ‘n’ beans and a couple of cans of spam put away. I’m prepared. When I heard the podcasts, I got sick Do I have ten days to live? Pattie Brassard sounds credible. . . From description of video. Selected for the 2004 National Film Registry of “culturally, historically and aesthetically significant” motion pictures. Featured image: Stelae 12 and 13 from Monte Alban. These two stelae contain what is thought to be one of the oldest calendar signs (calendrics) from Mesoamerica. CREDIT: Taken from the Japanese Wikipedia: Thanks to Siyajkak! SOURCE: Wikipedia Commons. (This file is licensed under the Creative Commons Attribution-Share Alike 3.0 Unported license). Ceremony heralds end of era in ancient Mayans’ calendar. Gordon James Gianninoto interview on Coast to Coast AM. Guatemala City residents join in activities, including a Mayan ball game re-enactment, to usher in new era in the Mayan calendar. 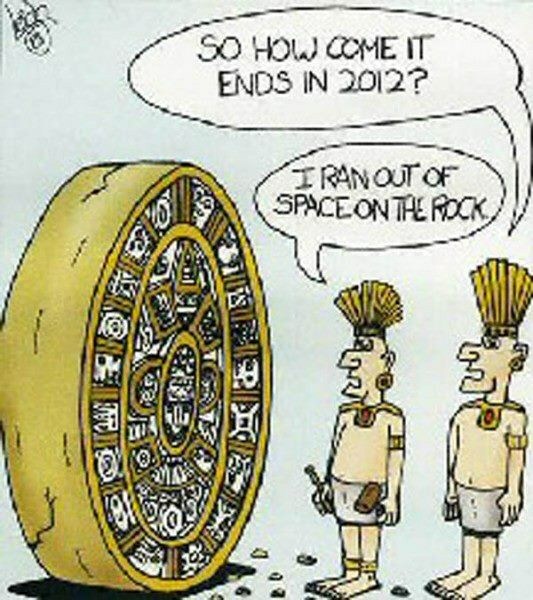 Some people think the world is going to end on Friday. According to believers, this apocalypse could manifest itself in a number of ways. If there is a disaster and you happen to make it out alive, there’s a good chance supermarkets will soon be pillaged and you’ll need access to a steady stream of food. That means you’ll need to pack your cupboard with shelf-stable ingredients that provide enough energy to help you rebuild society. Dollar store survival kit…..not everything you need but it will save you money!!!!!!! agree or disagree i thought i would share….no negative comments please!